Have you felt the nudge or call from God to start or rebuild a women’s ministry at your church? Are you wondering how to get started or what to do next? Perhaps you want to be obedient, but aren’t sure how. Trust that God’s brought you here. 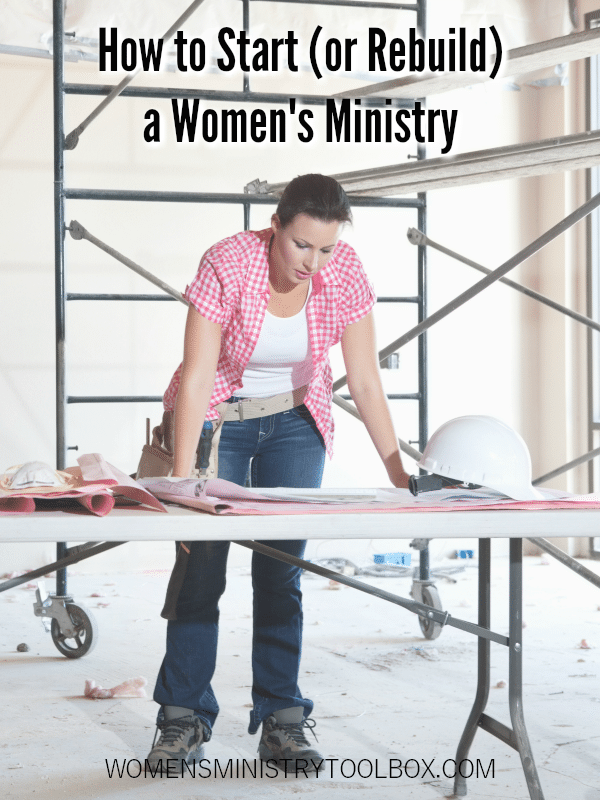 He will provide exactly what you need to start or rebuild a women’s ministry. Before we jump into the nitty-gritty details, I want to pray for you. Dear Lord, I thank you for the one you’ve given a burden and desire to start, or re-start, a women’s ministry in her church. I ask you to go before her and smooth her path. I pray, Lord, that you’ll move in the hearts of the staff so that they’ll respond enthusiastically and with support for this ministry launch. I ask you to soften the hearts of the women in her church and community. Stir up a desire in them to study God’s Word together. Help them to grasp the importance of worship, fellowship, and studying God’s Word with other women. I pray, Lord, for the development of Titus 2 relationships in her church, where spiritually older women mentor and disciple those who are spiritually younger. Lord, keep the eyes of this one, and the team you send to help her, fixed firmly on you. May every decision they make, every event they host, and every activity they plan glorify you and lead others to the saving knowledge of Christ. We thank you Lord, in advance, for the great and mighty things we know you’re going to do. In Jesus’ name we pray, amen. I trust that you’re here because God placed on burden upon your heart and through His Word, circumstances, people, and/or events, gave you a clear calling to step up to serve as a women’s ministry leader or team member. He will be our guide through this process. I ask to you proceed carefully, yielding always to the Holy Spirit and not to the steps that follow on this page. I don’t know your church and your circumstances, but God does, and He may take you down a different path or may confirm that these are the steps you need to take. Trust Him. He knows best. As I did above, the very first step to start or rebuild a women’s ministry is prayer. The very first time I took on the role as Women’s Ministry Director it was to fill a position that had been empty for a year and a half. Our prayer group, as we prayed for the needs of our church, had been lifting up this specific need for months. Week after week as we prayed, the burden for this need in our church almost overwhelmed my soul. And then one day as I was reading my Bible, God spoke clearly through the words in 1 Timothy 1:12 that I was to be the one to step up and fill the gap. In my mind this was crazy! I was both young physically (a mom with two boys in elementary school) and spiritually (I had only accepted Christ as my Savoir about 6 years prior). I chose obedience over fear. Ironically, the members of my prayer group admitted that they had known for weeks God was calling me to serve as the Women’s Ministry Director. Before you speak to a staff member or begin to plan an event, prayer is a necessity. I don’t know how long God will have you on your knees, but I trust the Holy Spirit will give you a nudge when it’s time to move forward. Pray for the softening of the hearts of the women in your church and community. Pray God will stir up a desire for women to be in His Word. Pray for the church staff to be receptive and supportive. Pray for God to put women in your path that have a heart for ministering to other women. Pray God will grow and refine your leadership skills. Pray for opportunities to learn from other leaders. Pray for a verse or verses that can serve as the focus of your women’s ministry. Pray for any logistical needs. Pray for the meeting you’ll schedule with your Pastor(s). It’s a lamp, not a flashlight. God will give you enough light to see just far enough ahead to take the next step. If we could see the whole path before us and the dangers, distractions, and opposition we were going to face, we’d be tempted to run away in fear or strike out our own path and miss what God has planned. Keep stepping forward, one step at a time, trusting God will show you what to do next. You must get approval from the Pastor and/or staff at your church. The Bible is very clear about our responsibility to submit to the authorities God has put in place. See Titus 3:1, Hebrews 13:17, and 1 Corinthians 1:10. Make an appointment. Do not show up unannounced or catch them in the hallway. Present a clear and concise plan. Explain why there is a need for a women’s ministry. Highlight gaps in what is currently being offered, without being negative. Detail how you plan to meet the needs of the women in the church. Share why and how God has led you to this point. Tell them about other women who have been praying and/or the names of those you would like them to approve as members of the women’s ministry team. Be specific about the roles in which they would serve. Take care not to become overly emotional. Present as many facts and numbers as you can. Ask for their advice. Get their input. Ask if they have any questions. Be honest; if you don’t know the answer, say so. Invite them to pray about it and speak with other staff members before letting you know if you can proceed. I wish this weren’t true, but your Pastor may say no. We attended, at the Lord’s leading, a church for about 9 months that did not have a women’s ministry. 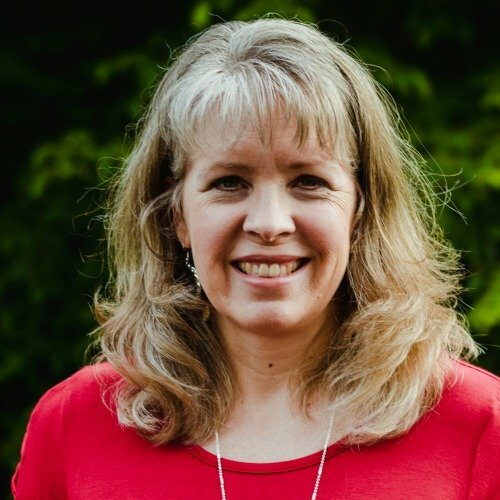 While I never met with the Pastor, other staff members repeatedly made it clear that a women’s ministry was not and would not be part of that church’s plan or offerings. It grieved my heart as I could clearly see the need and knew women in the church were desperate for a women’s ministry, but only God can change their hearts. It was suggested by a staff member that I lead a women’s small group. I pushed aside my disappointment over the closed door for a formal women’s ministry and embraced the opportunity I was given. I was going to be the best women’s small group leader they ever had! If your Pastor says “no”, spend more time in prayer continuing to seek His will. God may eventually change the hearts of those in authority or may even physically move someone new into a position of authority that will be open to the addition of a women’s ministry. While you wait on God to open doors, serve your women the best that you can. God’s timing is perfect. Trust that He is working in the wait. You’ve gotten a “yes”! What do you do next? In the spirit of Ecclesiastes 4:12 (a cord of three strands is not easily broken) you need to begin to prayerfully recruit a team. If you have women who’ve been praying with you, make each woman’s name a matter of prayer. Don’t assume they want to be more than prayer partners for the women’s ministry. And don’t assume God’s already provided your team. If they are all close friends or women who are very similar to you, you need more diversity. Teams should include women of different ages and from different social circles. When you ask someone to join your team you want to take into account the needs of your team. Each potential team member should be approached with a specific role in mind that aligns with the gifts God has given her. Please, please do not issue an open invitation for team members. I know from personal experience how destructive assembling a team without prayer can be. It opens the door wide for Satan! The process of building a team could take a few weeks, a couple of months, or may be ongoing. God will likely not fill every role immediately. He may not ever fill them all! Get started and trust He’ll add women to your team in His perfect timing. We’re walking in obedience, not waiting for perfection. That very first team I assembled started with 3 of us. That was it. For a church with about 900 members, that felt like a tiny team, but it was what God gave us so we trusted Him. Slowly He added to our numbers. For retreat and conference planning we created separate teams. It worked, even when it seemed from my perspective it wouldn’t. And if you’re wondering what’s a good size for your team, a seasoned leader I know recommends 1 team member for every 100 women in your church. That may not be possible and may be unrealistic if you oversee a large women’s ministry, but take it into consideration and make it a matter of prayer. What do you do with your team? By this time you may have a secret Pinterest board filled with ideas you just can’t wait to implement. You’re itching to gather your women, plan events, and get going! Be patient, dear one. We need to get some guidelines and boundaries in place first. Your team needs to define its purpose in writing. Every team needs a clear mission statement. Read this post to walk through creating a mission statement. Print out the final version and give every team member a copy. Include it often in your programs and publicity. Your mission statement will be your plumb line. Every single thing you choose to do – every event, every activity – must uphold that mission statement. Some of your team members are going to bring ideas that will not align with your mission statement. When they do, ask them how it aligns with the ministry’s mission statement. Sometimes you won’t even have to use the word “no”. Be intentional about building community and relationship among your team members. Have everyone in the group take a personality test, eat a meal together, play some team building games. Pray together and pray often. Spend some time teaching your team to pray. You may want to work through the Prayer Warrior Boot Camp for Groups together. You should be praying out loud as a group every time you meet. Should you vote or not vote on women’s ministry business? As you build your team, set up a system of forms and procedures. You church may dictate how money is reimbursed, rooms are reserved, and publicity is submitted. Compile all of this information into binders for each of your women. Yes! This is the moment you’ve been waiting for! Let’s add some events and activities to your church calendar! Your Pastor(s) may have given you some advice about how many/how often you should offer events and activities. Submit to their authority and heed their advice. You can revisit their recommendations down the road. Get a copy of the church calendar and use it to help you pick the best date for your event. I wish I could tell you exactly how many events to plan and how often to host them. There’s no magic formula. 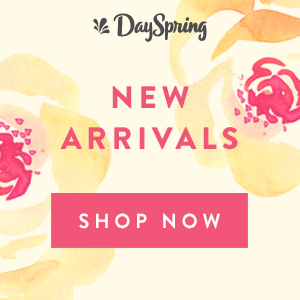 If your church is not already offering women’s Bible studies, I encourage you to start here. Women can’t follow God’s Word if they don’t know what God’s Word says or if they don’t know how to read God’s Word. 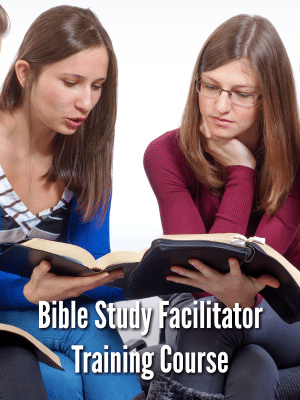 The READ Bible Study for Groups is a great tool for teaching your women how to read and study the Bible. Next, add some events to your calendar. God may have given you a verse or theme for your women’s ministry year. This post on the Best Women’s Ministry Theme Ever will help you discern God’s direction. Many women’s ministries plan their events around the theme God has led them to. You can always add more events later. Keep things simple as you build your team and list of volunteers. You don’t want to burn them about before you really get started! Many ministries host a launch or kick-off event. A kick-off event provides your team the opportunity to introduce themselves and share the vision for the women’s ministry. Some teams distribute surveys to find out what their women really want and work to balance that with what they know women need. Every single event you host should point women to Jesus. That may mean a clear call to accept Christ as Savior. At minimum, every event should include the reading of God’s Word and a teaching, lesson, or devotional. Women need to hear how God is moving and working in the lives of other women in your church. Personal stories make a much greater impact than any story you could share out of a book or off of the internet. Please read The Best Devotional You Can Share and How to Share the Best Devotional Ever. Side note: If you’re hosting a movie night out at a theater, I’m not expecting you to hold a session in the lobby. Any event at church should include these things. With rare exception, every event should incorporate an icebreaker game or activity. We must be intentional about building community and breaking up cliques. You’ll find a pile of great icebreaker games here. I strongly encourage your team to pray about hosting a retreat or conference at least every other year (once a year may not be realistic if you have a small team or lack volunteers). Concentrated time together, studying God’s Word, discussing God’s Word, and even just having fun with one another will help your women to develop stronger, deeper relationships and connections quickly. Women also need that encouragement to get away from their daily duties to spend time with God. You may want to read: Is God calling your women to retreat? And, one last thing, please don’t forget to get the proper approval for your events. You want the support of the staff, official approval, and your events listed on the official church calendar. Ask, if you don’t know the proper protocol. Should you charge for women’s ministry events? Step #6 – Spread the word! Advertise your events and activities to your women in your church AND in the community. As you plan out your advertisement strategy, you must address the “What’s in it for me?” question. As I discuss in How to Get Women to Show Up, women have to CHOOSE to attend your event. So you need to clearly tell them why they should. One women’s ministry leader shared with me that they always include a spiritual why and a practical why in their event publicity. Even with all of that, personal invitations are your most powerful form of advertising. Women respond to personal invites. They want to know their presence matters. And most women are more likely to attend if they know at least one friend is going too. After every event, ask your team to complete a Post Event Evaluation Form. At your next meeting, walk through that form together, compiling all of the info onto one form to keep and reference. Make necessary changes moving forward. After big events, such as a conference or retreat, and at the end of Bible study sessions, distribute and collect surveys. The women in attendance will notice things you will not. Pray, grow, develop, and refine. Find and provide training for your group in areas where you are struggling and areas in which you need knowledge. Read a great leadership book together. Study scripture together (1st and 2nd Timothy are great places to start). Not only should your women be making disciples that are making disciples, but you should be equipping and encouraging women to serve. Expect members of your team to be called by God to serve elsewhere. Expand the number of women who are trained to facilitate Bible studies. God may move your family at any time, as He did ours (not once, but twice) while I was the Women’s Ministry Director. Prepare others on your team so they can function without you. You want them to rely on God, not on you. Celebrate and reflect on what God is doing – with both your team and with your women. Invite women to share what God has done. Share these stories via video and in written form on social media, the church website, and at events. Let the staff know what a difference women’s ministry is making in the lives of the women in your church and community. Share the numbers of women who have accepted Christ, who are discipling one another, and who have attended as a guest and become active in the church. Brag on your team members and volunteers and take the time to thank them. Send handwritten notes. Consider these 10 Tips for Thank You Notes and find out the secret to No More Notecard Stress. Give your team and volunteers some thank you gifts at Christmas and other times of the year. Let them know you appreciate them. 1. It can be helpful to meet with members from the last team that was in place. They can give you feedback about what worked well and what didn’t. Learn from their successes and failures. Listen as they talk – you don’t need to share your opinions or your plans. Let them know you’d greatly appreciate their prayers. 2. Find out why the women’s ministry team disbanded. In most cases I find it’s because the leader moved or stepped down and they couldn’t find anyone to fill their shoes. But in some cases there was a much bigger problem, one you won’t want to repeat! 3. Prayerfully decide which events and activities you’ll re-launch and which you won’t. You may find a lot of pressure from certain church members to pick things up where the team left off and not to make any changes. You’ve got to really know what God is asking you to do and what He is not. Press on through any opposition. Hold firm to God’s calling – He’s got this! I know this is a LOT of information to take in. And beyond just the words on this page, I’ve linked to 49 posts (in red above) that will be helpful as you prayerfully start or rebuild your women’s ministry. I suggest your bookmark or save this post on Pinterest and come back to it as God gives you enough light to see the next step. Expect to experience opposition. See 1 Peter 5:8-9. Stand firm and don’t forget to put on your armor! Women’s ministry is worth fighting for! May God direct your steps and bless you and your team as you love and serve the women in your church and community. He is with you! Please feel free to post any questions you have in the comments below. 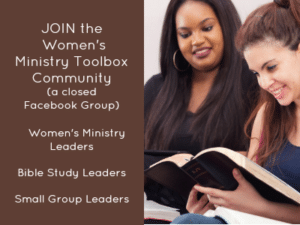 You may also want to join the Women’s Ministry Toolbox Community. You’ll find prayer support, encouragement, and inspiration in our closed Facebook group for women’s ministry leaders. Sonia, thank you for your comment! May God bless your ministry! Lydia, thank you for your sweet comments! <3 Praying God will provide exactly what is needed for your Christmas Bazaar! This is awesome. After seeking the heart of God, I am being led to this Ministry for assistance. Please pray for our Women’s fellowship to grow and be extended in all areas. Praying God will direct your steps, Minnie! As I begin to take on the task of a Women’s Ministry leader in my church. This information is and will be extremely helpful and as I rely on God to guide me through.